If you are debating whether or not to give kayaking a try, just do it. You won’t regret it! Need more convincing? 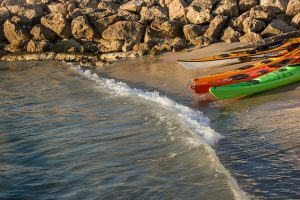 Then keep reading to learn more about the benefits of kayaking. Fresh air will do you a world of good! It’s so refreshing, plus your skin can absorb much needed Vitamin D from the sun. Make sure to wear your sunscreen! Whether you go kayaking on a river, lake, or in the ocean, you get to be one with nature. Being out on the water is a great way to appreciate the beauty in this world. You don’t need to have anyone else to go kayaking. In fact, most of the time I go kayaking on my own. It’s liberating and also a great way to clear my mind. I have done some of my best thinking while I’ve been out on the water. Note: As I mentioned before it’s important to always wear a life jacket while kayaking, especially if you go on your own. 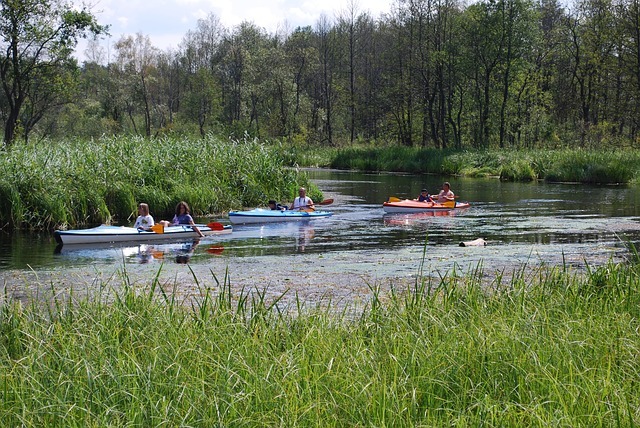 Kayaking can also be a fun thing to do with other people. If you own a tandem kayak, you can even go in the same vessel. If not, just paddle alongside each other. You can even have a race if you are the competitive type! Kayaking is hard work and gives your body a great workout. You are having fun, so you may not even notice. One of the health benefits of kayaking is that it helps to build your upper body strength but you also use your legs and core for stabilization. It’s the one type of workout that has been easy for me to stick with. I love fishing because it’s a fun, challenging, and rewarding at the same time. When I fish from my kayak, I can get to places that I wouldn’t be able to reach if I was fishing on the shore. I use a fish finder to help steer me in the right direction. As you can see, kayaking has many benefits, so I encourage you to give it a try. I think it will make a big difference in your life. If you are thinking about investing in a kayak, be sure to check out my recommendations for inflatable kayaks and fishing kayaks. It’s so cool that kayaking can burn over 100 calories an hour. I’m a bit chubby, so I’ve been looking for more ways to exercise. Kayaking seems like a great idea!